I was fortunate enough to receive Shiro’s Sweater Weather and He Loves His Hammer, two shadows I have been lemming for quite hard. Admire that beautiful label art! 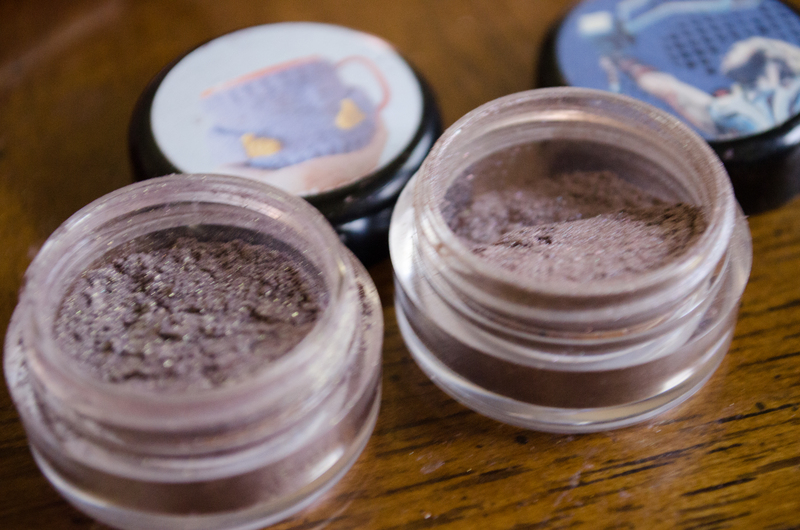 These shadows cannot be judged out of the jar. 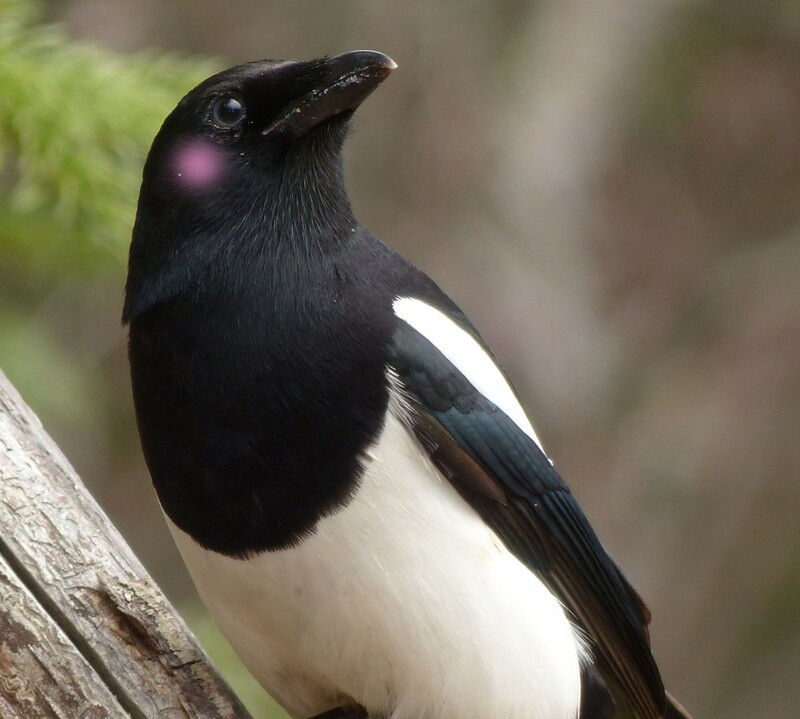 As you can see, they just look sort of… brown. An attractive brown, but brown none the less. BUT WAIT. 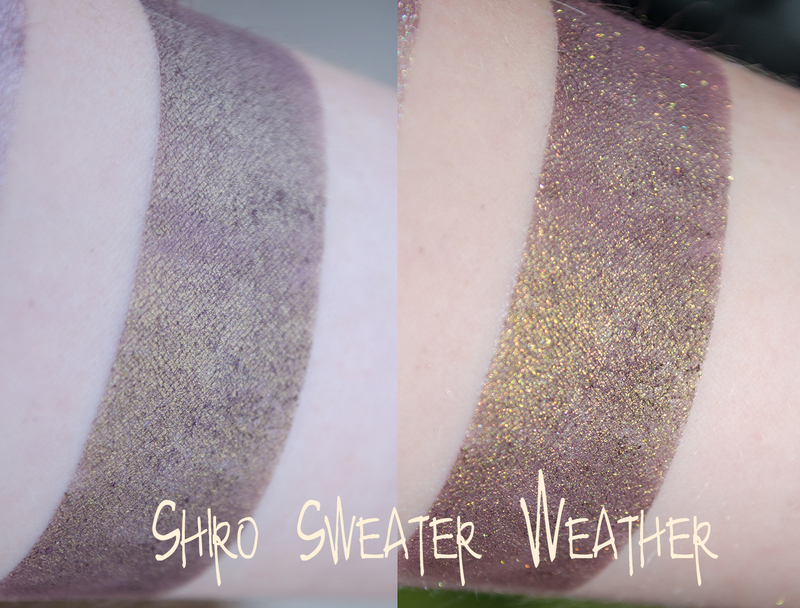 As you can see, Sweater Weather transforms from a muted brown in the jar to a dusty plum with a very strong gold overlay. 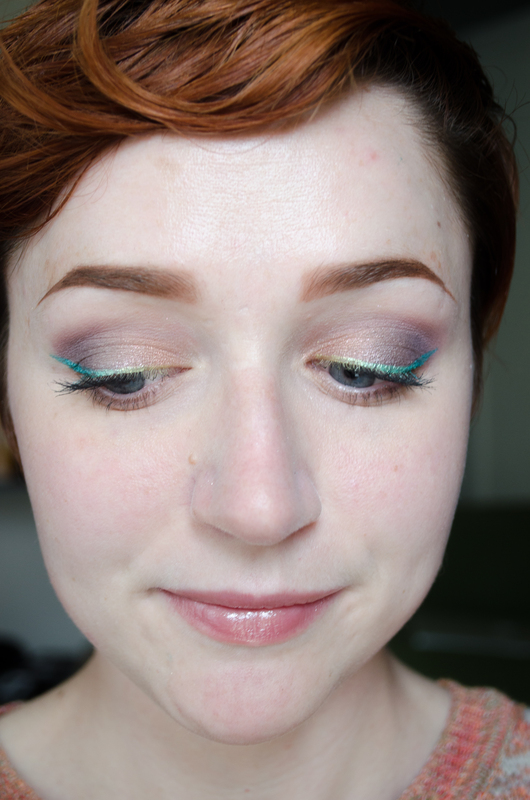 Please ignore the slight unevenness of this swatch– the shadow doesn’t actually have difficulty applying, I was just so excited to swatch it that I didn’t wait until my Darling Girl Glitter Glue had entirely dried down. 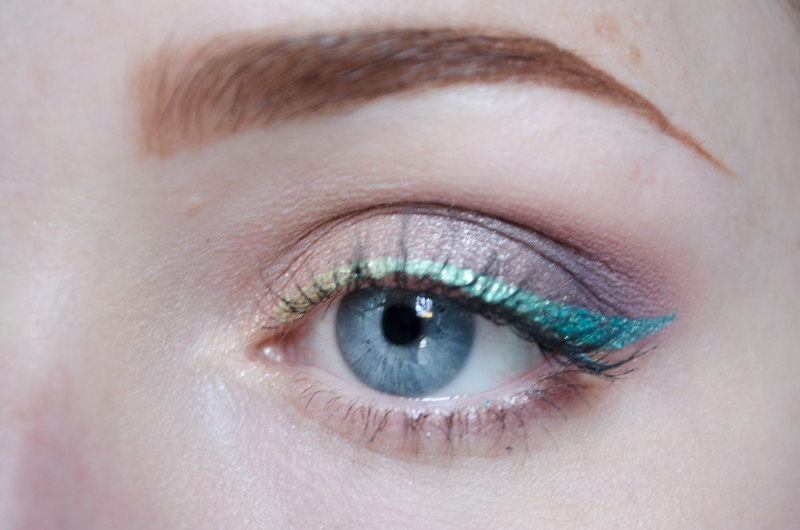 This is over UD Primer Potion (top), and Darling Girl Glitter Glue (bottom). It is a shade that is PERFECT for fall, and although for me it is a little too dark to apply all over the lid, I think for ladies with slightly darker skin tones this would make a perfect one-lid-color shadow, with a sticky base to bring out that amazing gold. Another shocker in comparison to the jar! This shadow is something else. I’ve really been wanting to give it a try, but didn’t entirely expect it to be so completely gorgeous. It is definitely a complex color– a sort of steely purple color with red and silver sparks? There are some definite pink tones, some great pewter or silver… it’s not too dark, but has enough intensity to have a lot of character. Color me impressed! I also received ANOTHER item that I have really been wanting– a Shiro custom gloss in Little Bird. 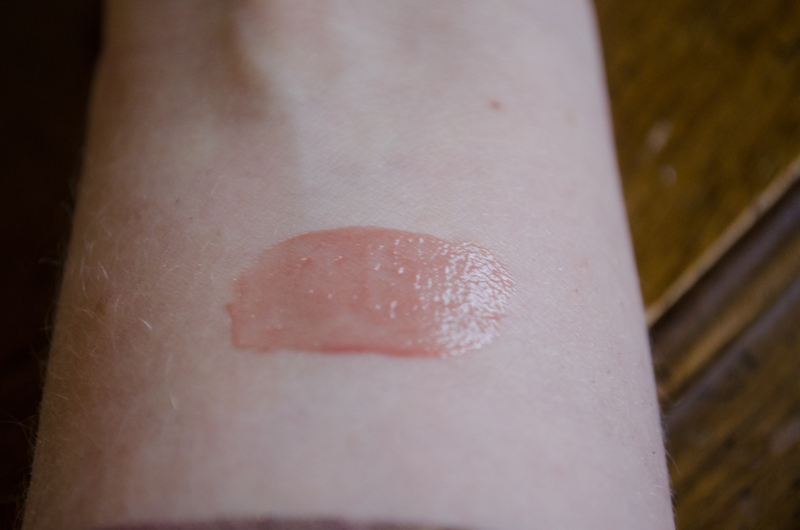 I’ve suspected that it would be a spot on dupe for my natural lip color… let’s take a look! 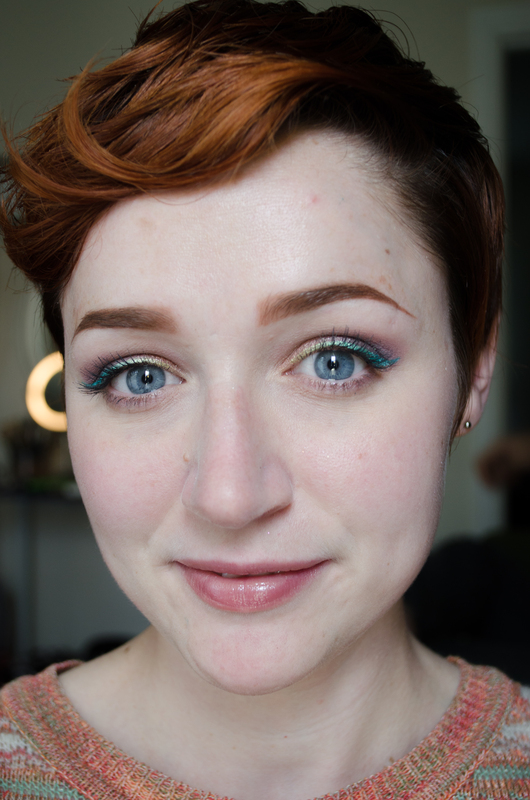 Apart from being ever so SLIGHTLY more beige, this is pretty much my exact lip color, but just a teensy bit better. And the Shiro formula is, as always, soooo nice. This is an utterly acceptable lipstick for every day wear, so much so that I’ve used it several days this week because it’s just so dang easy. I can’t speak to TAT because I didn’t buy these lovelies, but my Shiro orders are always within the posted turn around time. These were sent straight from Shiro, and the packaging was good as always, and everything was in tact. 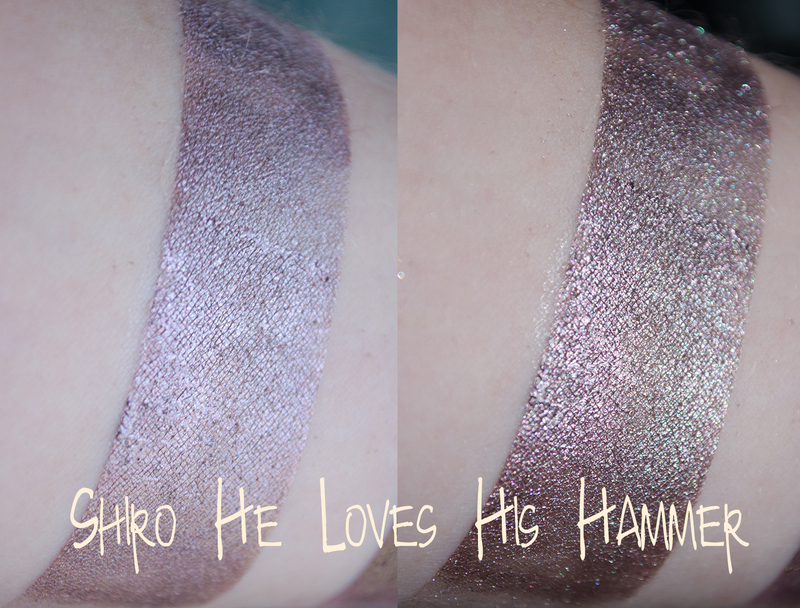 I used Hello Waffle Rose Champagne in the inner 1/3rd, He Loves His Hammer in the middle 1/3rd and lower lid, and Sweater Weather in the outer 1/3rd. 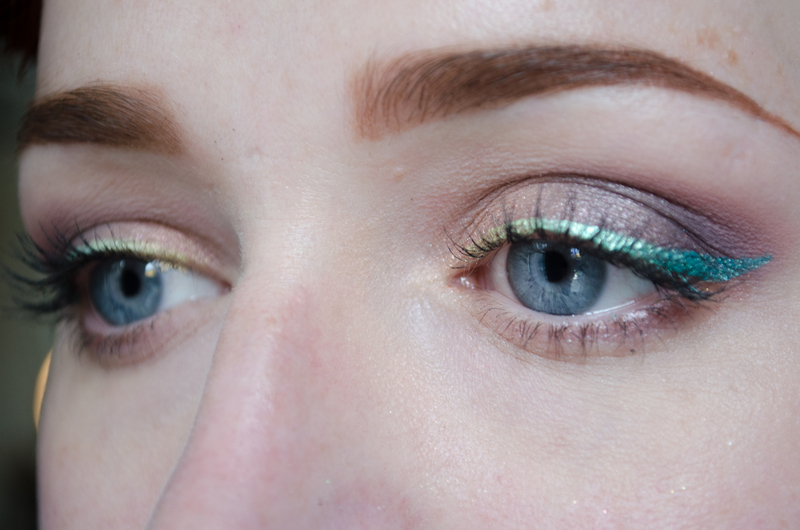 I used Blackbird Imogen in the crease, and then a gradient of Hello Waffle Golden Afternoon (inner), Fyrinnae Electric Stardust, and Shiro Steve as the liner. Sweater Weather and He Loves His Hammer work wonderfully together as a gradient, I think! All I can really say is, THANK YOU BRIKITTY! 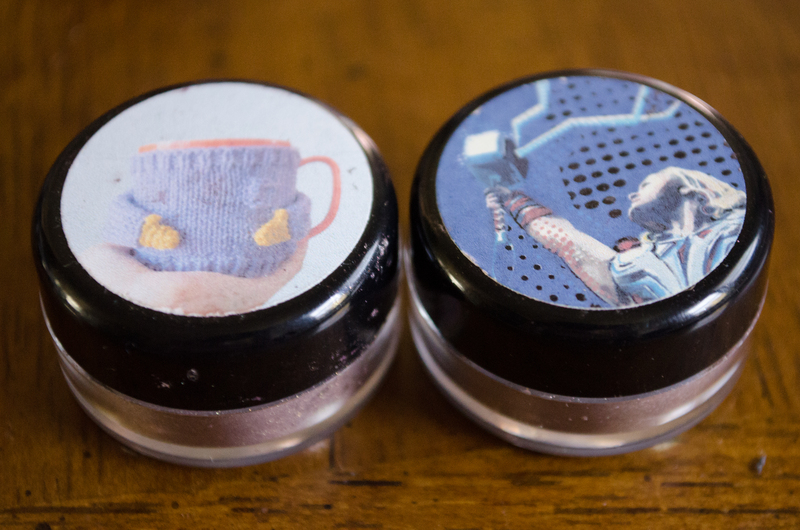 These shadows and the custom gloss are perfect and really have a lovely autumnal feel to them (though I dare someone to try to stop me from wearing them year-round). 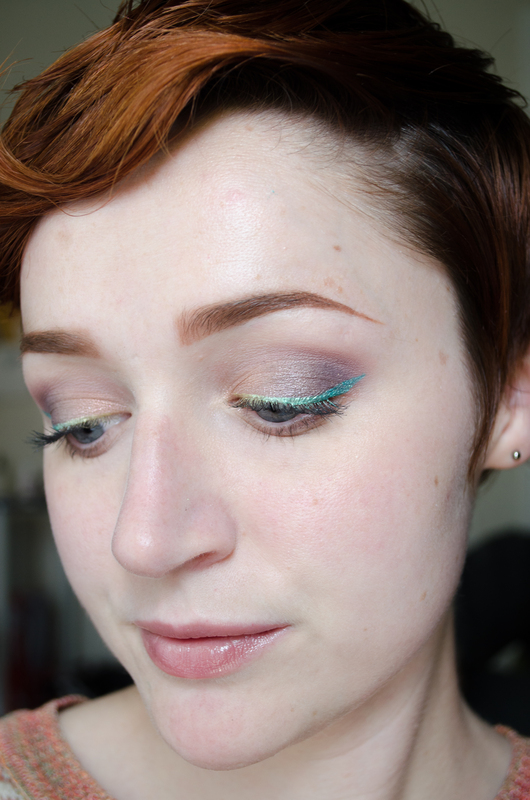 As always, Shiro’s shadow formula is excellent, and I enjoyed trying some bright eyeliner over such subtle colors. Caitlin’s lip gloss formula is also wonderful, and that is coming from a lip gloss hater. It isn’t sticky, but it has some decent lasting power, especially for a gloss. Great trio! LOVE this makeup on you, so so gorgeous! I’m going to have to pick up some more Shiro soon by the looks of it, haha! I love the look of the Shiro gloss! What opacity/flavour did your exchange partner get you?